At 61, I was unemployed. Sooner or later, my severance package would stop arriving in my checking account, and although I’ve never worried much about money, I began thinking of ways to cut back, something I’ve never been known for. I tried not to surrender to my bent for the dramatic, but once in a while — usually awake in the middle of the night — I’d see a vision of me in the future, popping open a little can of gourmet cat food, spreading it on some crackers, and calling it a day. Then I had an idea. Traditionally (for me) this can be a terrifying way of opening a paragraph. I tried out my idea on my neighbor, who kindly wondered why he’d seen me home so much. I told him I’d lost my job and had been applying for new ones, but nothing was happening. Of course I didn’t say it exactly that way. I think I used words like “transitioning” and “turning point.” The phrase “letting you go,” my actual launching pad, was still coming to me regularly in my dreams, the ones where I’d show up at my office and everyone there would have to remind me that they’d already “let me go,” and — ashamed (and, yes, naked of course) — I’d slump back to my car and drive home. I’d just met this neighbor, so he was a natural tabula rasa candidate. “I’ve decided I’m going to write,” I said, listening to how self-important that sentence sounded wafting through the air. If he meant had I ever made a comfortable living as a writer — or even an uncomfortable one — the answer was “no.” If he meant had anyone ever heard of me, nope. I didn’t mention that I’d won third place in my 6th grade short story contest back on Long Island, but it was one of the consequential events I was building my next career on. It’s amazing how reality hardly ever has anything to do with being a writer. I bought some office supplies I thought writers needed. A stapler. A pencil sharpener, even though I barely ever wrote with a pencil. I was good on Post-It Notes. I kept writing. Nothing much. Nothing good. But I kept writing. And waited for a sign. My next official act of reinvention was to move the desk in my study to the window. Before, I’d always thought I’d find it distracting, but I’d become such an early riser, I figured I might enjoy seeing the sun come up. Or that watching people in the little park below would give me some material once I’d stopped thinking about my big win in the short story contest in 6th grade. The park is taken over with dog owners once the sun arrives. By about 6:45, the grounds resemble a golden retriever convention. People in their Under Armor gear talk and nod and smile as the dogs sniff at each other. (This is an unscientific sample, but I’ve learned 90% of the golden retrievers in America are named Bailey.) Mothers, nannies, and toddlers take up the next shift. At dusk, from the same window, I see parents and their children getting in a few minutes on the playground equipment before dinner. Sometimes when nothing is coming to me, I walk out my back door and sit at the playground. I jot down what I hear or see in the notebook I carry everywhere. One day a boy, about ten, sat down next to me on the bench. His dad was off to the side, watching expectantly. I’d seen him nod in my direction and say quietly to his son, “Go ahead.” The boy cleared his throat a little and held out a stack of copy paper, mercilessly stapled down one side. The cover read ROBOTS in bold lettering, with an ambitious illustration. “Hi,” he said. “I’m a writer. I have this book for sale. It costs $1 if you want to buy it. But just to warn you, it might be scary in some parts for your kids.” I loved that he didn’t have a clue that my kids are now in their thirties. I loved his confidence, even when his voice faltered a little. I took the book in my hands and thumbed through. I complimented him on his wording and his drawing. I said, “Stay right here,” and I went back to my house and got a dollar. He showed me where the scary parts were so I’d be prepared. “Not one bit,” he said. And he took off for the swings. Hello, must say that it was not by chance that this texto came to my screen. I am in the very same situation as you are. I am 60 and I am also unemployed. I relate perfectly to all those feelings that you have described. That last day, putting years of life, dedication and experience in a box, saying goodbyes to those who have shared that part of life with you, the anguish and the fear of the future. I connect with all that you have described so very well. I am a psychologist and although I have a great resume and wondeful experience I understand that “you have a great resume and so much important experience, but … “. I started to understand that I am old, I really had never thought of that before. My head somehow stoped somewhere between 35 and 40 although my body kept growing. I should have kept up my clinical practice but I got very confortable for the last 14 years working as assessor to the board at a high school level vocational shool of drama. I loved my work, my colleagues, the youth, never thought that I would get out before retirement, but a change of board direction to the political arena and a new wave called austerity made it happen. I live and work in Portugal, a country trying very hard to get out of this damm crisis. I got to the unemployment office and they spoke as if I should be very experienced in being unemployed. I had to explain at diferente occasions: I have never been unemployed, can you explain it as if I am really dum in this matter? They tried! I enjoyed my few days. No alarm clock, uau! No traffic jams, no rush! Then it got strangely unconfortable. I started getting up early, dress up and get out every morning for a cup of coffee and a walk. Started looking for work, but gave up soon, as there were so many barriers, because of my age. It was clear that although I was for now more or less confortable, getting an unemployment pay, that is half of what I used to bring home, although my living costs are basically the same. I started cutting expenses, everything that I could, and I knew clearly that I needed to create my own job. I have about 18 months to make it happen. So, now I have gotten together with a few friends and we are trying to develop a new Project and I am starting to write. I have so much stuff in my head that this might be a great opportunity to get some dusting and cleaning up done in my brain. At the same time I find writting so endulging, so magnific mine and a great opportunity to share with the world what I know about my reality, relationships and people. I was very fortuned to have had others shared with me their own realities. I have learned so much from every single person that I have somehow served during all these years, that crossed my path of life. So, it is time for sharing. I am excited although I have not made a cent yet from writing but I am na optimist and I believe that I will be ok. Thanks for your writings. I don’t have a park outsider my window, but out of my 5th floor apartment window I have a mountain with the world’s most beautiful castle on top. My desk needs rearranging and I will try to focus on that. In the mean time, life and austerity made my house full again. My children are now home with us and my two grandchildren are here for two weeks every month in order to stay with their dad. Although sometimes both myself and my husband would love to now, have some alone time, we cheerish every moment of sharing our lives and try to find joy and opportunities in every hardship. Thanks again! One other thing to explore is part time or consulting work. Some places or private practices can’t afford someone full time but might offer a job two or three days a week. Thanks for the ideia and for the good luck. I know there is a physical age gap, but I stumbled Acosta your last two posts yesterday. “We’re Letting You Go” and this one. What I have felt in just two posts, is a mental connection. I’ll never be able to connect to all aspects of you life, but that feeling of having what you believed was your “purpose” your “stability” ripped from you and now you are stumbling really trying to find that path again, there is no age gap for that. Thank you for sharing. I look forward to more. This is just what I needed to read this morning. I have enjoyed you writings over the years, but this hit home in a big way. See, all it takes is a few staples and time hanging around playgrounds…. I think the idea of putting your blog posts into a book like jean said, is a good one. So update us on what you’re writing etc. 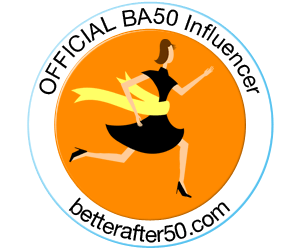 just started “blogging” – not sure what I’m doing but what have I got to lose; loved your blogs……..have started today reading them and it’s like having a cup of tea and conversation with an old friend. Keep writing!! There are more of us on this chosen path than even I thought possible.Wonderful, the world needs creativity and imagination. Am having my first children’s book published (self published, to be honest) but it’s a start and hopefully an incentive. People who don’t write must think that there is something significant that qualifies the rest of us to consider ourselves writers. I’ve considered myself a writer from the time I was a little kid and I’ve never published anything or won any awards for my writing. I used to flip through the family photo albums and write poems or stories about the photos and give them to my dad as gifts when I was little. Like, really little. He loved them and I was so proud of them. In middle school I used to write short stories on my sister’s word processor. Later, when my family got our first computer, I wrote plays in Notepad. ☺️ In high school I went back to poetry but moved on to journaling in college. Nowadays I don’t have much time for writing but I’m trying to change that with my new blog. We’ll see how that goes! boy, your explanation sounds all too familiar, but DO NOT STOP WRITING!! You have a gift – reading your “blog” is like having a tea time conversation with you.